Chromecast – What an amazing device it is! Don’t you agree that Google came up with a masterpiece, which has simplified streaming on TV? It is also affordable, and this makes it even better! What’s more, it is trustworthy and barely ever gives problems. Now, like every other electronic device, the Chromecast also receives updates on a regular basis. Each update comes with some improvements that are necessary for its upkeep. The updates are automatic, and we don’t ever have to worry about them unless something goes wrong. Updates are subject to issues and Chromecast, being an electronic device, is prone to them as well. So, if your last firmware update was not smooth or if it failed, you may have to force your device to do it. 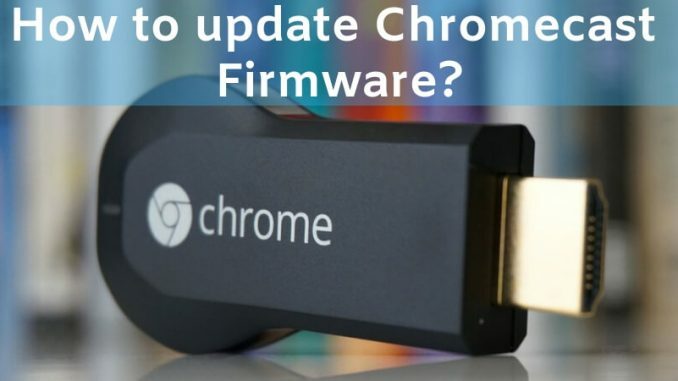 How to Update Chromecast Firmware? Until recently, forcing was not an option. You could only fix a problem by going to the executives but not anymore! Some brilliant minds have found a solution, and we present it to you in this article. It is simple but may vary from one operating system to the other. So, choose the option that suits your system and get going. The first step to force a Chromecast update is to find its IP address. You can go to the Google Home app on your phone and navigate to Devices. Select Settings and scroll until you see a few details such as current firmware version, the MAC address, and the IP address. Note down or copy the address on MS Doc. Where it says <Chromecast IP>, replace it with the IP address you copied. All you need is PowerShell. If you have Windows 10, you will already have access to PowerShell. If you have any older version of Windows, you will have to find it online and download it. Once done, open the app and paste the command below there. 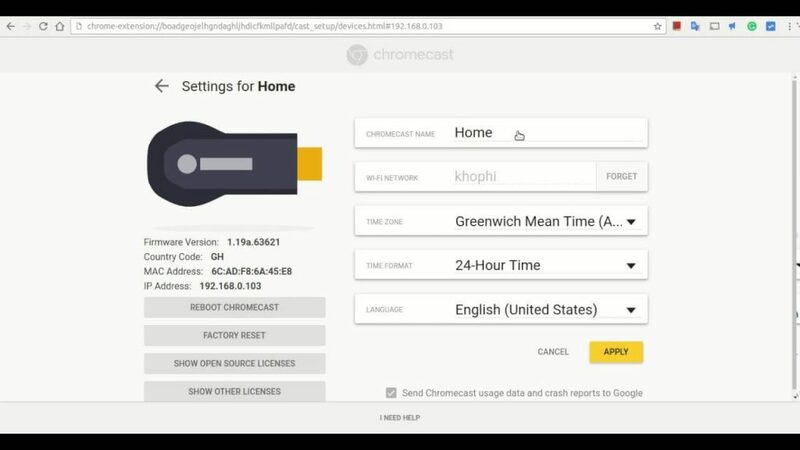 Where it says <Chromecast IP>, replace it with your device’s IP address. Use the same command that you used for Mac. It will work for Linux as well. Once you use the respective command, you will see your Chromecast in the update mode. You can monitor the progress on the screen itself. Within a few minutes, the update will have downloaded. Ready to use the all-updated and better Chromecast? Go for it!